I have an application that executes under Tomcat 7, developed with Struts (Java Web Framework). My application contains a security vulnerability (XSS Cross-site scripting). 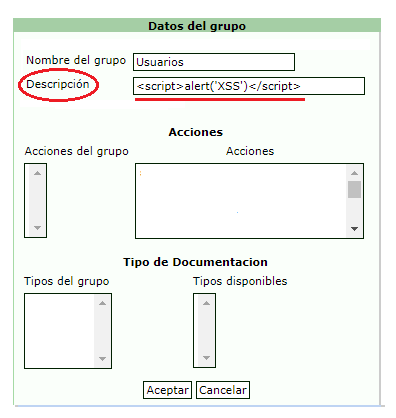 What kind of XSS vulnerability is it ? How is it introduced and what is the context ? What Java frameworks are you using ? Don't know about Struts if it has some built-in protection, but you could escape (sanitize) the html tags, so that when the script tag is printed to the page, it won't be executed. You should put your sanitization code to the action controller where the form submits to. Replace "<" character with &lt; and ">" with &gt;. After that script tags won't be executed. Or as @dandavis commented: a CSP would help to mitigate if you can't update the app logic. Not the answer you're looking for? Browse other questions tagged xss vulnerability jsp or ask your own question. What makes an Android application vulnerable to Cross-site scripting (XSS)? Can a simple comment on WordPress harm my system (CVE-2016-4567)? Can a site vulnerable to XSS be used to attack a site with a CSRF vulnerability?